Cordeiro, who announced at the USSF congress that the Confederations Cup was dead and that the Gold Cup could go that way soon, has written to the 10 member countries of South America’s Conmebol inviting them to a feasibility study meeting in Miami to look at the opportunities for the two regional football confederations to create a joint national team championship. It seems that Cordeiro, whilst a member of Concacaf’s Council, has not been mandated by his confederation to open formal discussion with Conmebol (that would have meant a letter from Concacaf) but has acted unilaterally to progress a discussion that has been mooted but not acted on. 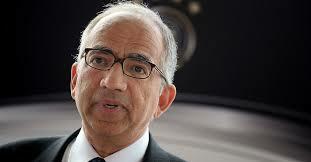 Concacaf said it has seen the letter sent by Cordeiro and that it is viewed as a positive opportunity. “Concacaf is in receipt of the communication sent by the U.S. Soccer Federation to CONMEBOL Member Associations. We view this opportunity positively as it is not intended to replace or substitute any future editions of the Concacaf Gold Cup and it complements our vision to continue providing opportunities for our Member Associations to play competitive football at the highest level,” said the Concacaf statement. Concacaf and Conmebol have collaborated before and in 2016 Conmebol played the centenary edition of the Copa America in the US with the edition of six Concacaf nations. This was played after the 2015 FIFAgate corruption scandal that centred on both regions with the marketing rights to that competition being central to much of the legal proceedings that centred around bribery and money laundering accusations and which in many of the 40+ cases are still on-going. A reformed organising committee in 2016 under the close supervision and watchful eye of US justice authorities enabled the competition to go ahead, and while there has been some support in South America of returning to the US (attracted by the increased financial opportunity of North America), discussion has not been meaningful in pushing that forward. Another key issue is the reorganisation that FIFA and its president Gianni Infantino wants to give to the global football calendar and his plans for a world nations league. Whether the Cordeiro initiative ultimately has space for this, or even that objective in mind, remains to be seen. Though what is clear is that what is good for the US and its national football objectives is not likely to dovetail seamlessly with FIFA’s view of the world football calendar or its commercial aspirations in the US as part of that mix. Nor is any US-first initiative likely to fit with the increasingly marginalised Caribbean whose previous solidarity has been fractured by a series of FIFA and Concacaf political manoeuvres and a revised competition calendar that effectively reduces playing opportunity at the highest levels for Caribbean clubs and member associations. A further wrinkle between Cordeiro and Concacaf could emerge with Concacaf looking set to be a strong supporter of Infantino’s international calendar proposals. Simply, there is not enough space in the international calendar for all the competitions that are being talked about. There is unlikely to be enough commercial support either.